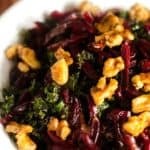 This Kale & Beet Salad with Candied Walnuts and Balsamic Vinaigrette is a great vegan salad that makes a fantastic side dish or lunch. Nothing like starting a brand new website and then disappearing. We’ve been on the road lately and though I had great plans to keep up with things, it just hasn’t happened. Though for the most part I love this crazy location independent lifestyle, I’ve got to say that it is really hard with a baby who just doesn’t stop. Honestly, I don’t remember the boys being nearly this wild at 11 1/2 months. She isn’t all that interested in toys but loves everything else. Trash, paper, electrical sockets, just folded laundry, the toilet…. Right now she can’t be left alone for even a minute and that means that my time for cooking and creating content is very limited. Stick with me though. I have a lot of things planned for this website and by early May I’ll be settled in a place for a while and be able to hire a Skye-chaser a few hours a day so I can get a little work done. And you know, sit down for a minute or two. 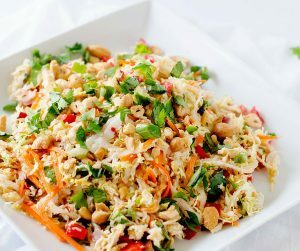 In the mean time, I have a salad for you that you really must try. This is without a doubt my new favorite. 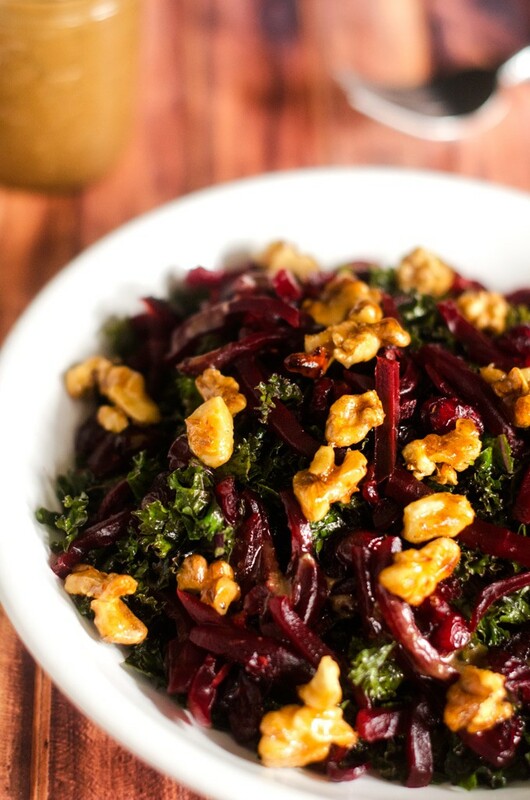 If you are short on time you can skip the candied walnuts and just use regular but I have to say that these babies were worth the extra effort even with my limited free time. I should also note that if you don’t have chia seeds handy for the dressing you can just double the oil. The only purpose of the chia seeds is to cut down on calories in the dressing and omitting them will not impact flavor a bit. 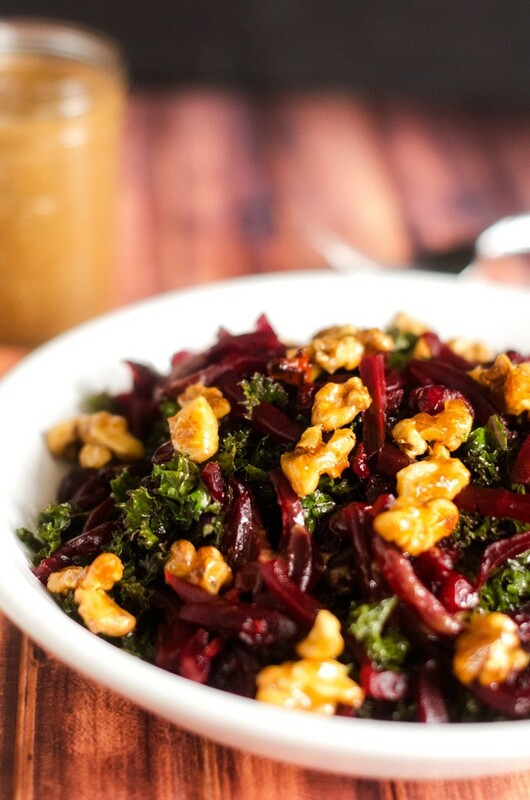 If you’ve tried this Kale & Beet Salad or any other recipe on the blog then don’t forget to rate the recipe and let me know how it went in the below comments, I love hearing from you! 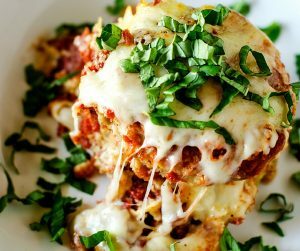 You can also FOLLOW ME on FACEBOOK, TWITTER, INSTAGRAM, and PINTEREST to see all my delicious recipes. Preheat oven to 375 degrees. Trim and wash beets. Place in a large baking dish and cover with foil. Bake for 1 1/2 hours, or until tenter. Cool. Peel and julienne. Meanwhile, place a skillet over medium high heat. Add walnuts, coconut nectar and sea salt. Cook, stirring constantly for about four minutes. (If you are easing a thin pan, you may need to cut the cooking time short to avoid burning.) 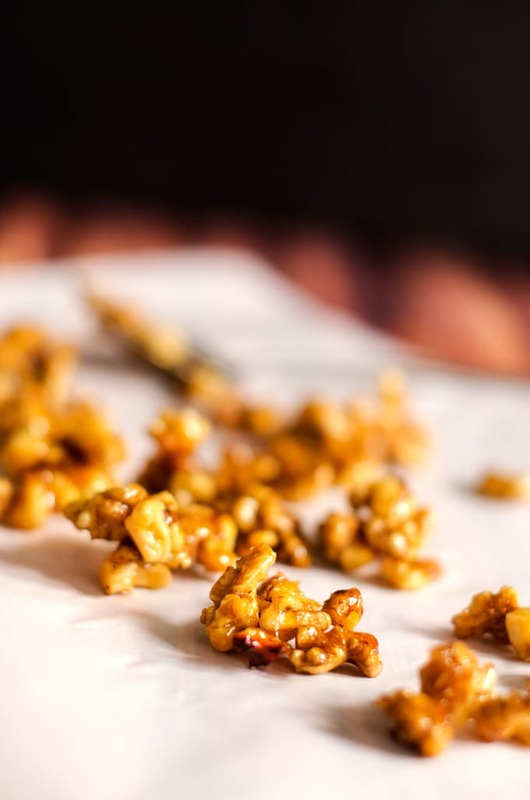 Remove walnuts from pan and all to cool on parchment paper. Those flavor combinations are perfect.